Ankle boots can easily become one of those wardrobe staples (like jeans and T-shirts) that are oft taken for granted—you know they’re there, they’re easy, they’re reliable, but they aren’t all that exciting. We think it’s a commendable goal for 2015 to try to inject some excitement into those items in your wardrobe that you consider to be somewhat boring (albeit reliable) staples. First up: ankle boots. Keep scrolling for five creative ways to turn your into game-changing accessories! If you’re wearing a ton of white and other light-coloured neutrals, then try using a statement-making pair of ankle boots to punch them up a bit. Reach for a vivid colour, a print, or a super-high stacked heel. Who says your ankle boots aren’t appropriate for the office?! With the right pencil skirt (one that’s appropriately professional) and blouse, it can be a very stylish look. For a more laid-back approach to the ankle boot, pair them with a pair of thick socks, letting the top peek out over the top of the boot. Try it with a dress and tights. A good pair of ankle boots (flat styles would be our pick) adds some edge and hipness to a skirt with a dressy and ladylike vibe. One of fall’s big trends is carrying over to the chillier months: Thick wool tights and shorts. 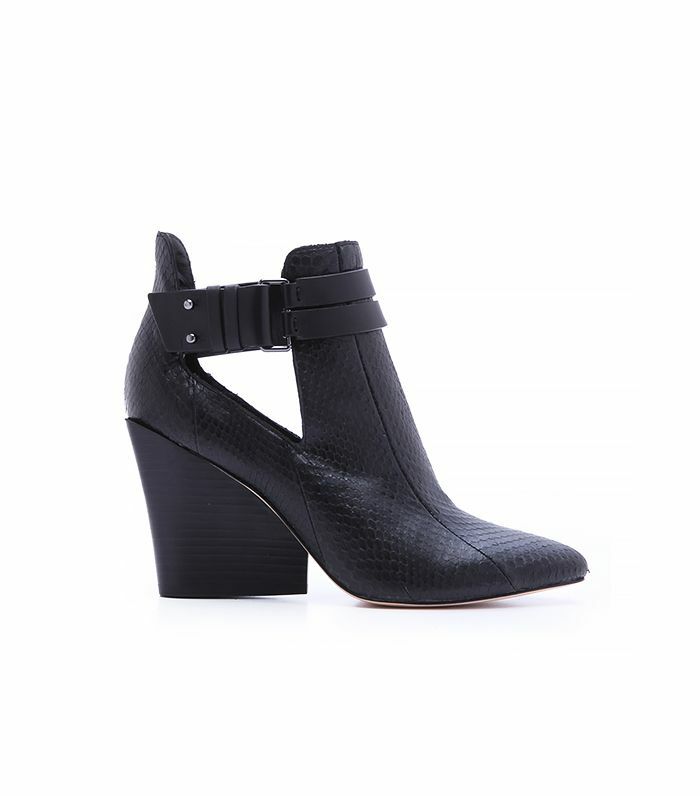 Why not slip on your favourite ankle boots to finish the look? Flat boots work well, or you can try dressing up the outfit with a heeled boot. Keep scrolling to shop 16 pairs of stylish ankle boots now! How do YOU wear your favourite ankle boots? Tell us in the comments below!